Fergana continues publishing review articles on 2012 outcomes in Uzbekistan. The first article was on the cooling of political ties with Russia and its political bloc, which was one of the most discussed topics last year. The second article will cover a scandal related to booting MTS from Uzbekistan: how it happened, what MTS’ competitors did about it, and its impact on common citizens’ lives, economy and the overall cellular communications market. One of the most noteworthy events last year was pulling the switch on MTS in Uzbekistan. The biggest mobile communications company in Russia has purchased the oldest cellular communications company, Uzdunrobita. 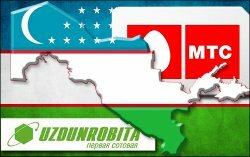 When MTS bought the Uzbek company in 2004-2007, Uzdunrobita had a solid “cover” on part of high-ranking officials and a pretty good reputation; MTS parted with it (could be temporarily) in the summer of 2012. Fergana.Ru covered the emergence of MTS in Uzbekistan and its demise in several articles. New details have been emerging in mass media outlets since MTS ceased its operations in Uzbekistan. Most of the news has to do with Bekhzod Akhmedov, the former Uzdunrobita director, and his now former patrons whose disgrace he has fallen into. A war of blackmails was launched immediately after MTS-Uzdunrobita stopped functioning and the first blow was dealt to Takilant, an off-shore company reportedly belonging to Gulnara Karimova and her trustee, Gayane Avakyan. The company’s account in a Swiss bank was frozen and the Swiss prosecutor’s office sanctioned the arrest of several Uzbek citizens who tried to withdraw money from the account. The detained individuals in question were later released on bail, since the amount of Takilant’s assets was significant. The blow then ricocheted onto Teliasonera, a Swedish company that owns a mobile communications company in Uzbekistan – Ucell. Meticulous Swedish journalists uncovered that Teliasonera transferred large amounts of money to Takilant’s account reportedly as payment for services in purchasing licenses and frequencies for Ucell in Uzbekistan. Put in simpler terms, a kickback for “covering” their business in Uzbekistan. We have later learned that Mr. Bekhzod Akhmedov, the ex-Director-General of Uzdunrobita Co. Ltd. (also known as MTS-Uzbekistan), was the person who opened Takilant’s account in Switzerland and had the right to sign documents pertaining to it. A continuing investigation by Swiss and Swedish prosecutors and journalists cooled down MTS’ representatives (significant shareholders, to be specific) rage and heated defense of Mr. Akhmedov. The Uzbek party was able to finally engage them in lengthy and apparently fruitless negotiations. Rumors were heard in all corners in that MTS was about to return. The contradictory information had it that the Russian company would resume activities on 1 November 2012, then after 1 January 2013. Instead, the MTS subsidiary initiated bankruptcy litigation in January 2013. The Uzbek authorities may have later realized they made a mistake revoking MTS-Uzbekistan’s license, since this led to a self-inflicted significant financial damage. Many small villages in remote areas, once served by MTS, were left with no communication. A big number of officials and individuals faced potential criminal prosecution in Europe, and large amounts of “dirty” money and assets were frozen. While it is a waste of time to talk about marred and tarred reputations – it is horribly discredited anyway, European mass media are talking about big shots’ in Uzbekistan and that is certainly unpleasant for them. But a scapegoat was found before long: ex-Deputy Prime Minister Abdulla Aripov was subjected to criminal prosecution by those whom he used to serve. Having witnessed the fate that befell their competitors, other cellular communications companies will certainly be reluctant to purchase new equipment or expand their coverage area. The goal they will try to reach as soon as possible is to get their money out of Uzbekistan to cover their previous investments. Thus, one can confidently say the situation with MTS set the cellular communications development back by five years, to say the least. To improve the situation, Uzbek officials need to find other investors and find new “dupes” (could not find a better word) who would risk their money. But in the end, the cell phone user pays for all such skirmishes because tariff plans will continue getting more expensive.